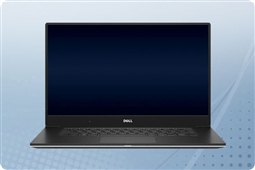 Home > Laptops > Dell Laptop Computers > Dell Precision 5520 15.6"
Dell Precision 5520 15.6” Mobile Workstations combine beauty, power, and expandability to have the ideal laptop workstation for creative and technical professionals working for Small to Medium Size Businesses (SMBs) on the road! The world’s smallest 15” mobile workstation the Dell Precision 5520 takes productive portability to the next level with it’s ultra thin 11.1mm frame and low 3.93lbs weight, and the near all day battery life ensure you can work longer. In addition, the beautiful 15.6” HD or 4k touchscreen displays allowing for the best experience possible for collaboration. All Dell Precision 5520 mobile workstations come with the Dell Precision Optimizer free of charge to take the guesswork out of customized settings that automatically tune your laptop workstation to run all of your favorite ISV applications at the fastest speeds available. Expandability is also a breeze with the Precision 5520. Choose your perfect Intel Core i5 or i7 HQ CPU, customize your DDR4-2400 memory up to 32GB, and pick your perfect SSD or SATA storage drive for high speed or high capacity! All Aventis Systems Dell Precision 5520 mobile workstations come standard with a 1 Year comprehensive Essentials parts replacement warranty with upgrades to Express expedited parts, Extended term, and Secure Drive hard drive retention warranties available for more coverage. So shop our product options below and bring the most travel friendly performance laptop workstation to your business today with the Dell Precision 5520 15.6 mobile workstation!